This entry was posted in Uncategorized on April 19, 2019 by giles. The article below gives you some ideas of ways to pay. If you’re struggling with tax or other debt and don’t see a way out, contact us at Giles & Lambert to see if bankruptcy could help. Note that tax debt is often (but not always!) non-dischargeable, but bankruptcy still may give you the option to restructure the payment of the tax debt or get rid of other debt to give you the breathing room to pay your taxes. If you are struggling to pay and want to learn whether bankruptcy can help you, give us a call! This entry was posted in Uncategorized on April 15, 2019 by giles. Meet Susan! Susan has worked for Giles & Lambert for nine years. Susan’s voice is often one of the first you will hear when phoning the Roanoke office, and her face is often one of the first to greet you if you stop by. Susan also assists with both retain and paperwork return appointments. When Susan is not in the office, she enjoys camping and crafting, and she is thrilled to have her first grand baby on the way! This entry was posted in Uncategorized on March 19, 2019 by giles. Small businesses fail for various reasons, including many beyond the owner’s immediate control. It’s a reality of entrepreneurship: Not every new business will succeed, and sometimes even long-standing companies hit hard times. You have often financed the business from your personal savings or with family loans. It can hard to admit the business is failing. Bankruptcy is an option when a debt-laden business is failing, but it’s not always the right one. Even when it is the best choice, there are multiple types of bankruptcy filings, each with its own advantages and disadvantages. And importantly, sometimes the bankruptcy can wipe away enough debt to actually keep the business afloat. First, you have to determine if your small business is set up as a separate legal entity. This means you have a limited liability company (llc), corporation, or a partnership. You would have registered the company with the State Corporation Commission of the state where it was set up as a separate legal entity. If you just operate your business under a trade name or a “doing business as” name, your small business is not a separate legal entity. In that case, your bankruptcy options are really personal, as you are personally responsible for all the debts of the business. You cannot just file bankruptcy on the “business” debt if there is no separate legal entity. It is critical if you are self-employed or using a trade name to talk to an attorney about your options. Understanding the basics can help reduce some of the fears and misconceptions that surround the word bankruptcy. Sitting down with an attorney to review options will help you understand your choices. If you do have a separate legal entity, then you have to consider your goals for yourself and the business. If you simply wish to shut down the business, you can often accomplish that without the cost and legal fees associated with a bankruptcy. And, many times, there are benefits to not filing bankruptcy. In evaluating whether a bankruptcy is worthwhile for a separate legal entity, it is important to know what debts of the business entity the owner may owe personally. These would be debts that the business owner personally guaranteed, such as bank loans or leases. Most credit cards for a business are issued under the owners’ personal social security number and contain a personal guarantee. And, if the business owes certain types of taxes (employee taxes, sales taxes, and certain others) those liabilities can pierce the corporate veil and carry over to the company owners individually. If you are personally responsible through guarantees for much of your business’ debt, then you need to understand a business bankruptcy does not eliminate your personal liability. We find that most of the time the owners need to file a personal bankruptcy and let the business simply be closed without filing a bankruptcy. It is important to consult with a qualified bankruptcy attorney to discuss how your business is set up, the impact of a filing on the business and you personally, and make smart choices about how to proceed. Getting good legal advice can help you avoid complications and mistakes as you move forward and just might help you keep the business afloat. We have offices conveniently located in Roanoke, Martinsville, and Blacksburg. Call and schedule your consultation with us today! This entry was posted in Uncategorized on February 24, 2019 by giles. Are you looking at your tax refund and trying to figure out if it will help you catch up on debt? If you are just catching up and not able to pay off debt entirely, you should consider if that refund could best be used to file bankruptcy and eliminate debt once and for all. Every day we see folks in Southwest Virginia struggling with debt. This keeps families from enjoying their lives together, because they are so consumed with financial worries. It makes parents fussy and kids stressed. If you are struggling with debt, our bankruptcy attorneys help good folks in Southwest Virginia eliminate their debt and begin living lives without financial stress. If you are worried about your financial situation, the current tax season is a perfect time to consider your bankruptcy options. Debtors are able to pay their bankruptcy attorney fees and filing fee with their tax refunds before their cases are filed. Your 2018 tax refund could wipe out your debt, so you can have a happier 2019 with your family. 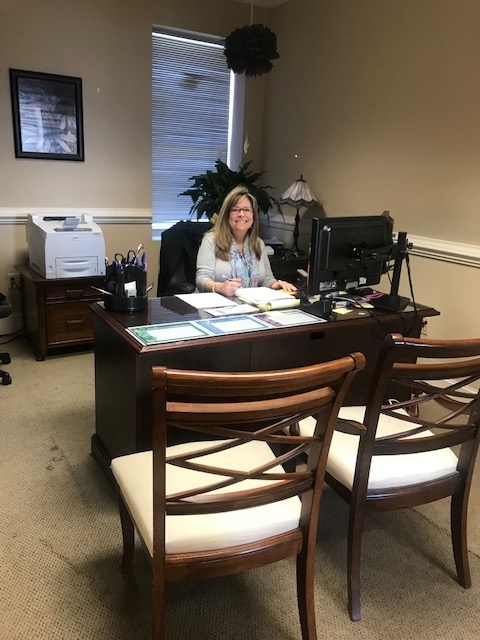 We offer free consultations in our Roanoke, Blacksburg and Martinsville offices where our attorneys (not a paralegal) meet with you personally to discuss your bankruptcy options for your personal situation. A Chapter 7 bankruptcy allows debtors to wipe out their credit card debt, medical debt, repossessions, garnishments, foreclosures, and collection judgments. If a debtor wishes to walk away from a car loan or mortgage, they can do so with a Chapter 7. A Chapter 13 allows debtors to catch-up on their past due mortgage or car loan payments over the course of either 3 – 5 years. Our experienced bankruptcy attorneys will let you know which chapter is available to you and best for your situation. If you are unable to pay off all your unsecured debt with your 2018 tax refund, you should consider your bankruptcy options and learn how you can live debt free in 2019. Use your tax refund to eliminate your debt and stress and start fresh. This entry was posted in Uncategorized on February 11, 2019 by giles. Owe Tax Debt and Worried? Have you learned you will owe taxes for 2018 and you are unprepared to pay them back? Or maybe you owe LOTS of taxes for LOTS of tax years. Maybe you have learned that you are facing a tax lien or garnishment. If any of these situations sound familiar, please call us at Giles & Lambert, P.C. for a free bankruptcy consultation. Either Chapter 7 or Chapter 13 bankruptcy may provide you options to deal with your tax debt, even if it turns out the debt is non-dischargeable in bankruptcy (another blog post to follow on this later). Bankruptcy can stop future interest and penalties and let you pay back the IRS on your terms and based on your budget. We, at Giles & Lambert, P.C., are not tax attorneys and do not provide tax advice. We are, however, experienced in tax debt relief through bankruptcy and are prepared to discuss your bankruptcy-related tax relief options. This entry was posted in Uncategorized on February 5, 2019 by giles. Living on a tight budget doesn’t mean sitting at home! When you are on a tight budget, entertainment can be expensive. Below are two FREE events we came across that are happening in the Roanoke/Blacksburg areas in the next week. Roanoke Folks – Do you enjoy yoga or have an interest in giving it a try? See below for information regarding FREE winter and summer yoga classes. What’s better than chocolate? A free-admission event for you AND the kiddos celebrating – you guessed it – CHOCOLATE! Information on the 2019 Blacksburg Chocolate Party is included below. Yum! This entry was posted in Uncategorized on February 1, 2019 by giles. Struggling to Pay Your Student Loans? Read this. It’s true: Most student loan debt cannot be discharged in bankruptcy. That does not mean that bankruptcy cannot help you if you’re struggling to repay student loans. In our office, we often see folks struggling to pay their student loans because of other debt (like credit cards or medical bills), because they were out of work for a bit and are also working to catch up mortgage payments, or simply because their student loan payments are too high. In many cases, we can use bankruptcy to wipe out as much debt as we can, allowing you to focus on paying your student loans or, in some cases, even manage the amount of your monthly student loan payments. Would you like to explore whether a bankruptcy might help you manage your student loan repayment? We would be happy to meet with you to discuss your individual case. Call today to set up your free consultation! This entry was posted in Uncategorized on January 31, 2019 by giles. Why Bankruptcy and not Debt Consolidation or Debt Settlement? Did you know that debt consolidation and debt settlement programs generally appear the same on your credit report as a bankruptcy? It is very tempting to sign up for a debt consolidation or debt settlement program over the phone or internet to avoid having to meet with an attorney or file a bankruptcy. We get that and understand the fear and often, embarrassment, of coming to see us. There is no judgment in this office. Our goal daily is to help folks in SW Virginia recover from debt. In evaluating whether to consider bankruptcy or a voluntarily program, you need to understand that creditors don’t have to participate in the consolidation/settlement program you choose over the internet. We see folks almost every day who have tried debt consolidation/settlement programs, but one or two creditors continue to collect and eventually sue them. These folks have wasted thousands of dollars on a program, and are then still having to file bankruptcy. Our laws provide a SAFE, LEGAL option to 100% stop collections with the filing of a bankruptcy. In a bankruptcy, the creditor cannot “opt out” just because it wants to do so. A law called the automatic stay means creditors legally MUST cease collections or they will be sanctioned by the court. Did you know that a number of historical figures such as Abraham Lincoln, Ulysses Grant, and Thomas Jefferson filed bankruptcy? Our founding fathers knew that Americans sometimes need a second chance and made certain to pass laws to provide that. There are folks for whom a debt consolidation or settlement may be best, but please evaluate your options (including a consultation with us for bankruptcy) to make sure you are getting the clear facts on the benefits and risks of the different options. If bankruptcy is not best for you, we will absolutely advise you of that. This entry was posted in Uncategorized on January 16, 2019 by giles. Giles & Lambert Wins School Bus Race at Demolition Derby! The staff of Giles & Lambert had a great Saturday night with friends and family at the Motor Mile Speedway in Pulaski County! Our school bus actually won the school bus race, after starting from dead last! From rocket cars to the man on fire to the demolition derby, everyone had a great time. On Saturday, cars and school buses were destroyed. This week, come see us to destroy your debt! This entry was posted in Uncategorized on August 13, 2018 by giles.